How expensive is it to plan your retirement in 40s instead of 30s? If you have turned 30 recently or are about to reach this milestone, you might have solved most of the puzzles that life throws, such as career progression, financial stability, independence and companionship. You would be pretty happy and satisfied with life. But life doesn't take much time to switch gears. Have you given a serious thought about your finances post your age of retirement? If not, this is the best time. Those in their late twenties and early thirties must realise the importance of retirement planning, and the benefits of starting early. You may think that your savings may be sufficient for your sunset years. But, have you accounted for the evil that goes by the name of inflation, which nibbles away purchasing power of your money 24x7? Probably not. If not carefully planned, your savings may not be enough to let you maintain your present lifestyle when you are old. Often, people realise the need for retirement planning during the last few years of their working life. That's a problem. You should understand that investments require time to grow (compound). That's how invested money generates higher returns and grows exponentially. Inflation is the rate at which prices increase. It reduces purchasing power. Assuming an inflation of 7%, Rs 1,00,000 today will be worth Rs 13,000 after 30 years. Ignoring inflation means you will save much less than what you will actually need in future. If you spend Rs 50,000 every month at the age of 30 years then you will need Rs 3.81 lakh a month at 60 assuming that prices rise at the rate of 7% every year. You have to invest in such a way that you beat inflation, that is, earn returns that are at least a couple of percentage points above the inflation rate. Let's take an example. A person, Mr. X, is currently 27 years of age, spends Rs 30,000 monthly, plans to retire at 60 and expects to live till 80. In his portfolio, Mr X has Rs 2,80,000 invested through SIP in diversified mutual funds. In our calculations, we are assuming inflation to be at 6 per cent and expect a moderate return of 12 per cent on investments made. To maintain his present lifestyle Mr X would need Rs 4.02 crore as retirement corpus. Huge isn't it! Thanks to Mr X's investments in the markets, it would yield him Rs 1.17 crore at the age of 60 years. Now Mr X has to accumulate Rs 2.85 crore which could be done by investing Rs 5,648 monthly through SIP. A person, Mr. Z, is 40 years of age and spends Rs 50,000 every month. Mr. Z plans to retire at 60 and expects to live till 85. Our assumptions remain the same i.e. inflation at 6 per cent and expected return at 12 per cent on investments. Also Mr. Z does not have any investments at present. To fund his retirement Mr Z would require Rs. 3.74 crore to sustain his present lifestyle, and his monthly contribution to build this retirement corpus would be a massive Rs 37,892. Mr Z exemplifies the cost of being late in the investment game. 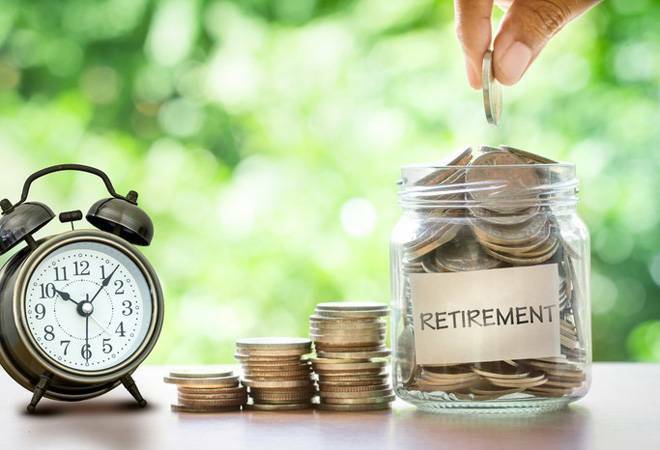 Accumulating funds for retirement is a painful task for most people. On the contrary, building retirement corpus is not rocket science the key is to develop a habit of savings, invest savings and stay invested for long term. There are some good habits that one should follow that would help to accumulate funds for retirement. 1. Be mindful of your expenditure, don't spend lavishly if you can't afford it. 2. Do not rely on credit for all purchases. This gives you a false sense of being rich. 3. Stay away from get rich quick schemes. Building wealth is a long term process it needs patience and discipline. 4. Invest saved money, as only investing has the power to grow your money exponentially. 5. Consult a financial advisor from time to time to keep a track of your financial goals. 6. With subsequent increase in income, increase investments too. This would help you realise your financial goals faster. 7. Do not withdraw money from your retirement fund, let it grow. It's like a seed that will grow into a big tree and provide you shade.